​Filmmaker ​ Deborah ​Voorhees ​ got her start in films back in 1980 when she relocated to Hollywood to become an actress. After appearing in a few films ​and TV shows, ​ she auditioned for an unknown film titled RENDITION and read for multiple parts. After the ​director shuffled around roles, she finally was casted as Tina in the unknown film that ended up being FRIDAY THE 13TH: A NEW BEGINNING. As an ​actress, Voorhees prepares for her roles by losing herself in the character and allowing the crew around her to disappear. Her acting skills won over many Directors and she landed roles in the hit prime time series DALLAS, DAYS OF OUR LIVES, and RIPTIDE. ​VOORHEES loves writing. Her screenplay GENEVIEVE was an official selection at the Beverly Hills Film Festival. The film is set in the 1800s and is about a 17​-​year​-old Genevieve, who is jilted on her wedding day after she humiliates her husband-to-be by publicly straddling a horse, which in this period is akin to fornicating in public. Her father sends her away to her aunt’s to be prepared for marriage to the man of her father’s “dreams.” When ​VOORHEES ​writes and directs a film, she is adamant that the film must have a captivating story with compelling characters that develop throughout the film. Having a ​STRONG lead actor is key in her films. Starring in ​two of Voorhees’ Shorts ​–and soon to be a feature– is the wonderful Actress Molly Wickwire-Sante. 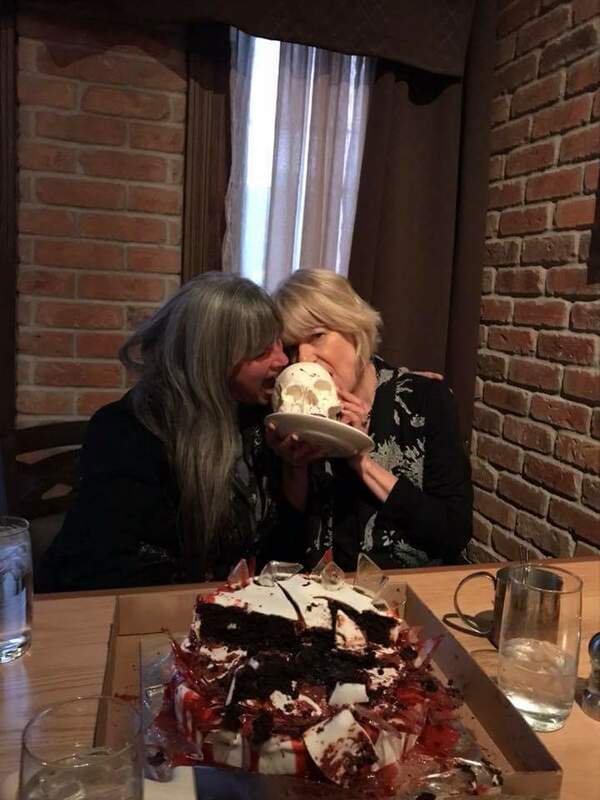 Wickwire-Sante greatly admires working with Voorhees for numerous reasons as she shares, “Working with Deborah has been one of the great adventures of my life. The joy she takes in making movies is contagious on and off set and she has this great sparkle of energy that draws people to her, an important skill when you need many talented folks to support your project on a low budget. But make no mistake, if Deborah has her hand in a film, a small budget won’t show. Whatever work needs to be done, she can do it and will do it until the final product is perfect. She has the great and unusual skill of being able to imagine the big picture and serve that vision, even while attending to the tiny endless details that could make a lesser head spin. Fortunately, Deborah is as grounded as she is creative and she will always find the fun in even the hardest work. Make a good joke on set and you will be rewarded with her distinctive, uplifting and lingering laugh. 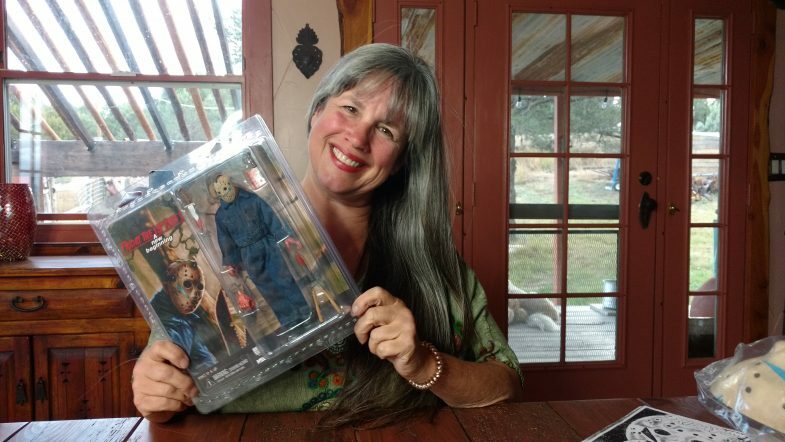 Deborah loves finding the light side of horror, digging into her character’s motivations until the scary and the funny, the dark and the light, and the crazy and the relatable are all on display. As an actor, it’s a great challenge to work through all those twists and turns to find the real person behind the terrible deeds. She has great compassion for actors, a talent for storytelling, and endless energy to get the work done. I can’t wait to be part of her next film, “The List” and see how far we can go!” THE LIST is currently in ​PRE-​production and more information is available on the Voorhees Films website listed below. Voorhees Films has made many music videos and shorts including OTHELLO: GOOD NIGHT MY SWEET and HIP HOP HAMLET both which played at the 2016 Elsinore Shakespeare Conference in Denmark and HIP HOP HAMLET was an official selection of Kenneth Branagh’s Shakespeare Film Festival, in Stratford-upon-Avon, England. A tormented husband becomes obsessed with irrational fears that his seemly loving and loyal wife is having an affair with his beguiling best friend, but is this real or paranoia? ​MOST RECENTLY, THE FILM HAS BEEN NOMINATED AS AN OFFICIAL SELECTION OF THE CHICAGO INTERNATIONAL ART FILM FESTIVAL. Critics have been praising the film, CATCHING UP​.​ Film critic Brian Lutes from Creation International Film Festival writes, “It​ is a charming film. I must say I enjoyed this one. It made me think of a gritty Once Upon a time in Mexico meets Neil Simon’s The Odd Couple.” CATCHING UP won the Award of Excellence at the Hot Springs International Horror Film Festival and is an official selection at Something Wicked Film Festival, Texas Frightmare, Palm Springs International Film Market, Idaho Horror Film Festival and the invites are still coming in from other festivals. A widowed socialite’s encounter with an ex-con awakens her fascination for murder in this dark Comedy. ​Voorhees was surprised that horror fans so took to murder-obsessed Sally. Because of this, Voorhees decided to move Sally from an infatuation with murder to a full-blown serial killer in Voorhees’ horror comedy THE LIST. In this film, Sally creates a list of those who have wronged her and offs them one by one. BILLY SHAKESPEARE is currently available for purchase or rental on Amazon. What if William Shakespeare never existed… until now. Our Modern Bard is caught in a love triangle of confused sexuality, cross dressing, mistaken identity, and bedroom trysts. Does Shakespeare love his lusty best friend, Wilma Hartford, who’s also a drag queen, or his lovely long-time girlfriend Anne Hathaway. This battle to understand Shakespeare’s true heart is a comic romp. All the while, Shakespeare peddles his screenplays in Hollywood. Renaissance and modern sensibilities clash when an all-male stage version of Macbeth and the misogynistic low-budget film “The Taming of the Shrew” open simultaneously. The combustion makes “The Bard,” played by comedic genius Jason D. Johnson, the most controversial screenwriter in Hollywood. Deborah has multiple films early in pre-production,including a couple romantic comedies, thrillers, horror, dark comedies, ghost stories, and even a ​family ​ sci-fi film. Be sure to keep updated with all her exciting work by going to Voorhees Films website and Facebook page.